Caramel and Pecan, what a pair? Our caramel pecan cake is sweet an nutty with our traditional rich and moist cake, sure to be a winner at your next brunch. Caramel and Pecan, what a pair? 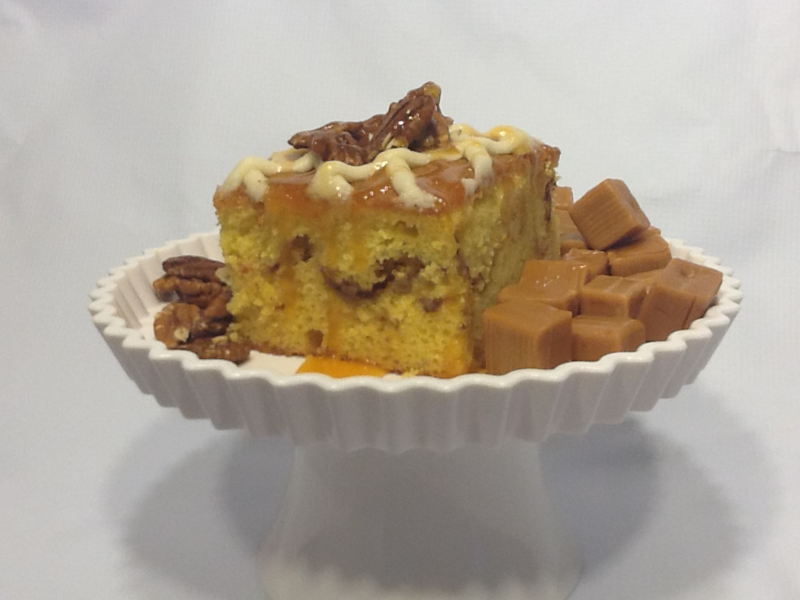 Our caramel pecan cake is sweet an nutty with our traditional rich and moist cake, sure to be a winner at your next brunch. Here are our cake sizes and how many people you can serve: Regular-12x9 ( can serve up to 9 people ), Large- 22x13 ( can serve up to 25 people ).